The six organisations implementing ‘a creative momentum project’ held their 6th operational management team (OMT) meeting in Rovaniemi, Finland from Monday 20th to Wednesday 22nd February. 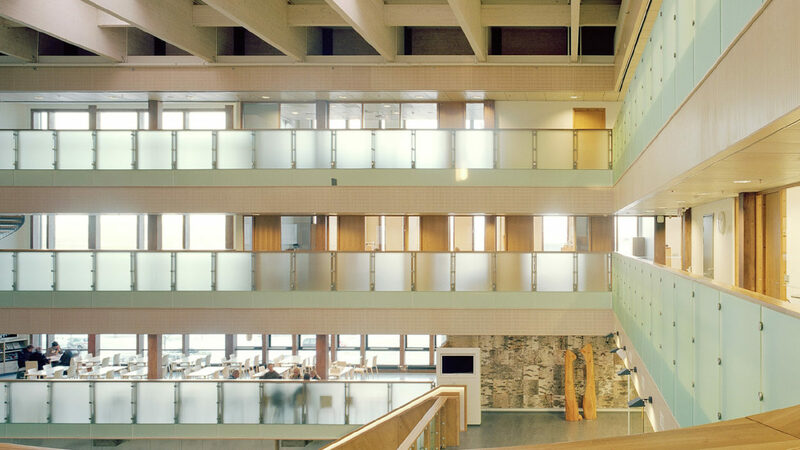 The meeting was hosted by our Finnish partner Lapland University of Applied Sciences who arranged for our meeting to be held at the fascinating Pilke Science Centre where we had a chance to learn a lot about Finland’s forest industry. Aisling Murtagh from Irish partner NUI Galway, described the interviews taking place to develop a new Business Model Toolkit for creative enterprises, the data collection being conducted to develop a Creative Sector Index, the survey which will be circulated shortly to creative entrepreneurs across the five ‘a creative momentum project’ regions to assess the creative sector’s economic impact and finally a Supports Assessment identifying cases of good practice in supporting the creative sectors. 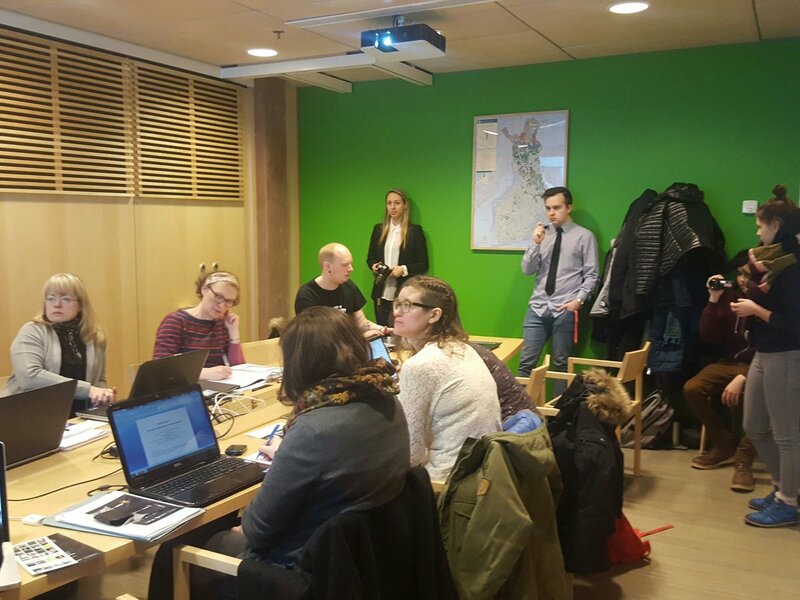 Saila Puukko from Lapland University of Applied Sciences outlined progress to date on the Creative2Creative Matching programme. 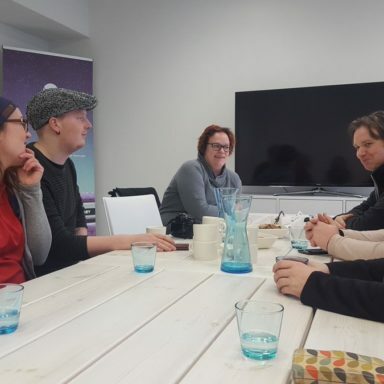 28 creatives from Ireland, Finland, Sweden and Northern Ireland are already participating in the programme and it was agreed to extend the deadline for the current call for applications to 31 March. Silvia Guglielmini from lead partner the Western Development Commission (WDC) gave an overview of the project’s communications activities on Facebook, Twitter, YouTube and a new Pinterest How the project can more effectively communicate with its key target audiences was explored. Pauline White, also from the WDC updated all project partners on project management issues including state aid, the project budget and claims and future partner meetings. Ragnheiður Jóna Ingimarsdóttir from Icelandic partner North East Iceland Cultural Council described progress on developing new Creative Trails, two in Iceland and two in Northern Ireland. An app developer will be appointed shortly. Henri Finström, Lapland University of Applied Sciences updated on progress on developing a toolkit of guidance materials for creative entrepreneurs who wish to develop a short ‘pitch’ video for their business/product. A call for applications for support for creative entrepreneurs to have such a video made will be opened later in the year. 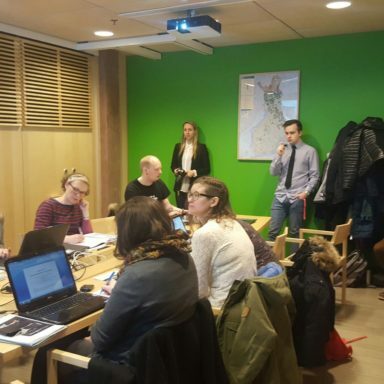 Anitra Arkko-Saukkonen also from Finnish partner Lapland University of Applied Sciences gave a presentation on the 1st round of the Creative Steps 2.0 innovation programme and launched the guidelines manual for the process. Future rounds were discussed. Niall Drew from Northern Irish partner Armagh City, Banbridge & Craigavon Borough Council (on behalf of South East Economic Development) discussed progress on developing a Network of Shared Creative Spaces to connect the many shared working spaces for creatives which exist across the five regions. How to encourage owners/managers of Spaces to create a Space Profile on MyCreativeEdge.eu was also discussed. 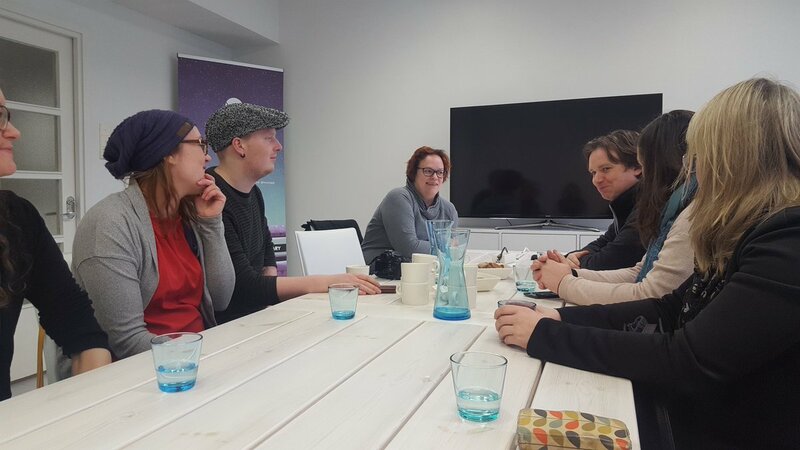 Kristina Jeppson from Sweden’s Technichus Mid-Sweden Ltd updated the partners on their plan to hold a Creative Exchange networking event to officially launch MyCreativeEdge.eu on 1 March. 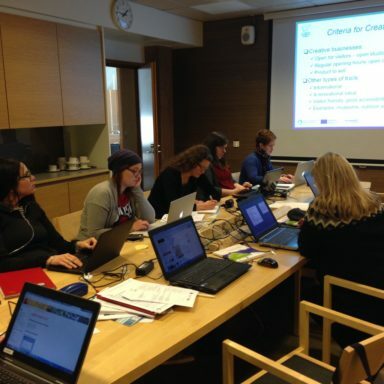 The development of MyCreativeEdge.eu, recruitment of new members and the new digital marketing campaign to advertise MyCreatvieEdge.eu was a major focus for discussion at the partner meeting. 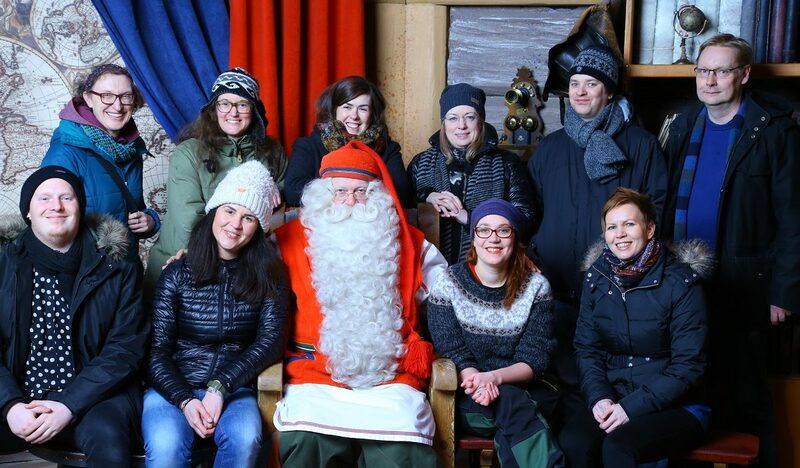 While in Rovaniemi we also had a chance to visit Flatlight Creative House and the Finnish Lapland Film Commission. 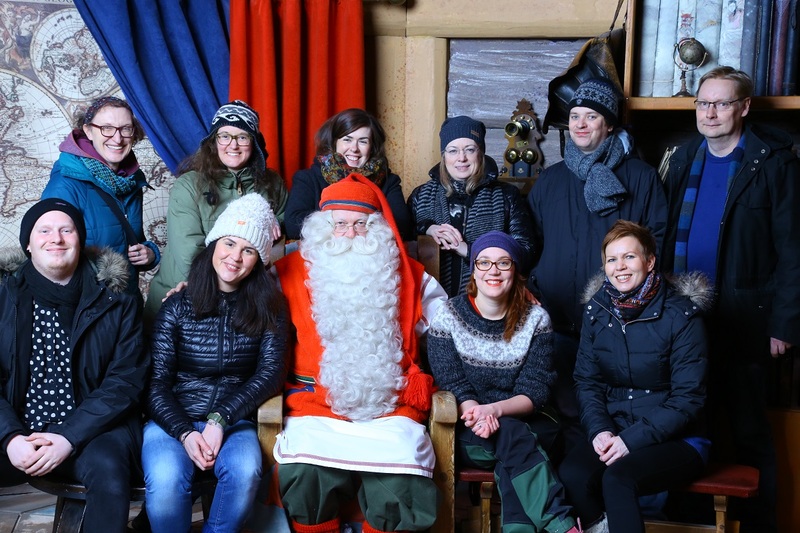 And of course, while we were in Lapland, we couldn’t miss the chance to meet its most famous resident!